SRINAGAR, India (CNS) — More than 40,000 villagers have fled their homes since Indian and Pakistani soldiers began exchanging fire across their borders. Ucanews.com reported at least 12 people, including seven civilians, have been killed in skirmishes since Jan. 18 across the Line of Control, a military demarcation agreed by both nations across Kashmir. Local leaders such as Bishop Ivan Pereira of Jammu–Srinagar have expressed concern over the mounting tension between the nuclear-powered South Asian rivals. “The situation is worrisome, as precious human lives are getting lost. We pray that such hostilities between both sides end soon,” Bishop Pereira told ucanews.com. 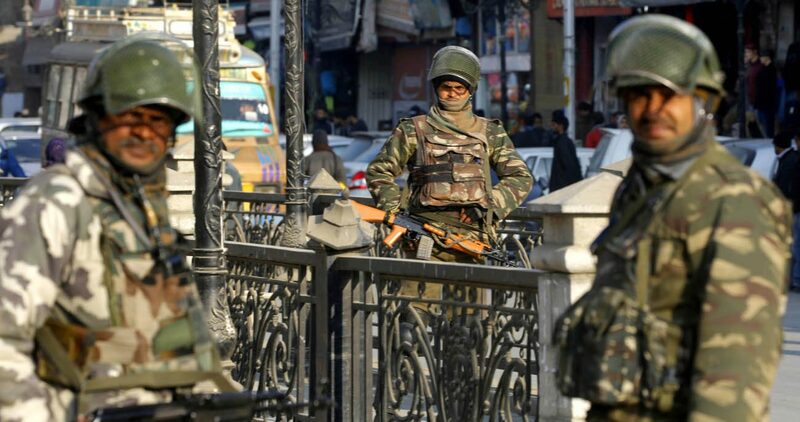 The exchange of fire become heavier Jan. 19, forcing India’s Jammu and Kashmir state to sound a red alert, asking people in frontier areas to move out of their homes and take shelter in government safe houses. “Villages in the border area of Jammu province are dark and deserted. The area is being continuously shelled. The people fled to safety,” the government advisory said. The tension increased after Pakistan started heavy shelling, according to India. However, Pakistani officials claim India fired first in a violation of a 2003 cease-fire agreement. India often accuses Pakistan of supporting an insurgency in the Indian part of Kashmir, an allegation Pakistan has denied consistently. India also accuses Pakistan of supporting “a freedom struggle” in Indian Kashmir against the Indian administration. Some groups have also taken up arms in an effort to separate Kashmir from India. The conflict dates to 1947, when India and Pakistan become separate states after British rule ended. Both countries claim Kashmir in full and have fought at least three wars and countless skirmishes over it.